Our nearest walk follows part of an ancient road used at least as far back as the sixth century. It begins at the modern-day farm Cilsant, which means 'Saint's Retreat'. This was the site of a settlement founded by missionary Saint Gwinio. The 3-mile route passes through Fynnon Felen and the village of Cwmbach up to the ancient church of Llanwinio, where Saint Gwinio set up his monastery on the site of an iron-age hill fort. It is quite an experience to walk in the very steps taken by the man of God fifteen hundred years ago. There is also a Pilgrims' Way leading from the river below Grey Alders up to Llanwinio itself. Go on your own - or check out our 'Events' page for Celtic Christian weekends and midweeks. A church stands on St Gwinio's monastery site. 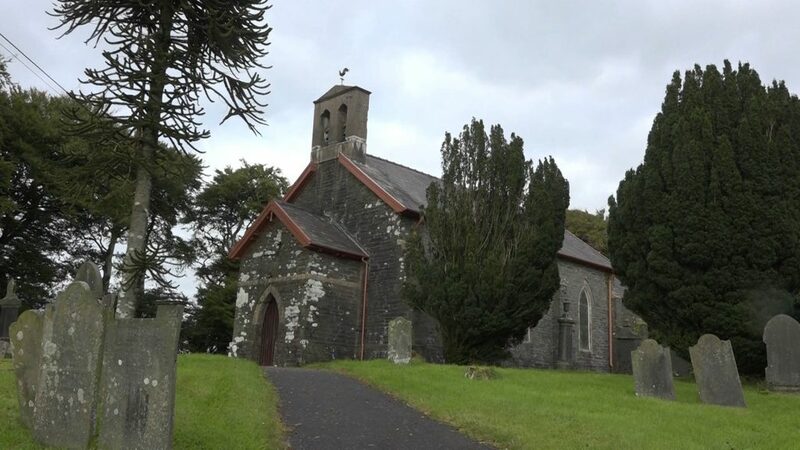 The country surrounding Grey Alders is steeped in Christian history, from Rock Chapel in Trelech, to where Christmas Evans preached at Blaenwaun, to the site in Carmarthen where the outspoken Robert Ferrar was martyred. 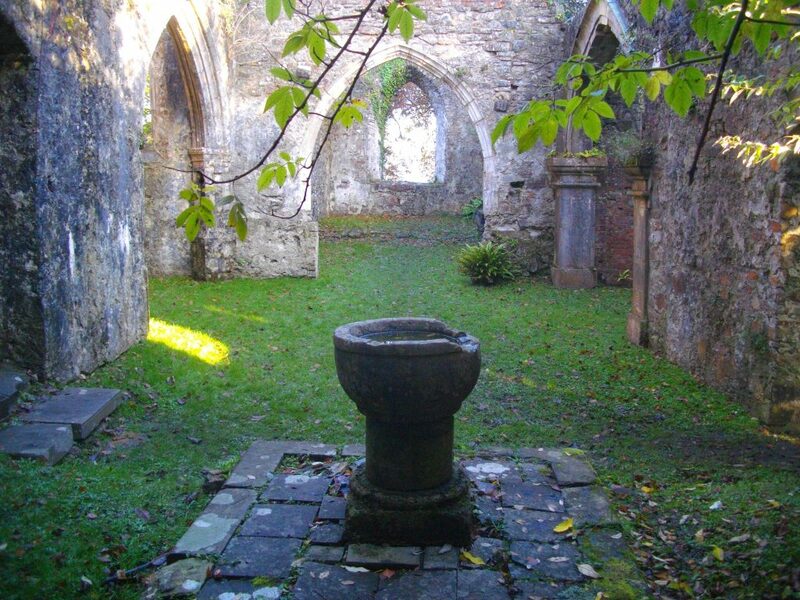 Earlier, there was a large active Franciscan Friary at Carmarthen, remembered as the Grey Friars or Broddyr Llwyd. The Cistercian monastery near Whitland is remembered in the name of nearby village Cwmfelin Mynach (Valley-Mill of the Monks). Place names tell us a lot around here. Near Slebech in Pembrokeshire lie the ruins of St John's medieval parish church, associated with the Knights Hospitaller. It was in existence before 1152, as the Knights were active in providing hospitality and medical services to pilgrims and crusaders. It was reduced to its present condition of a stable but roofless ruin when a new church was built nearer the A40 in the 19th century. 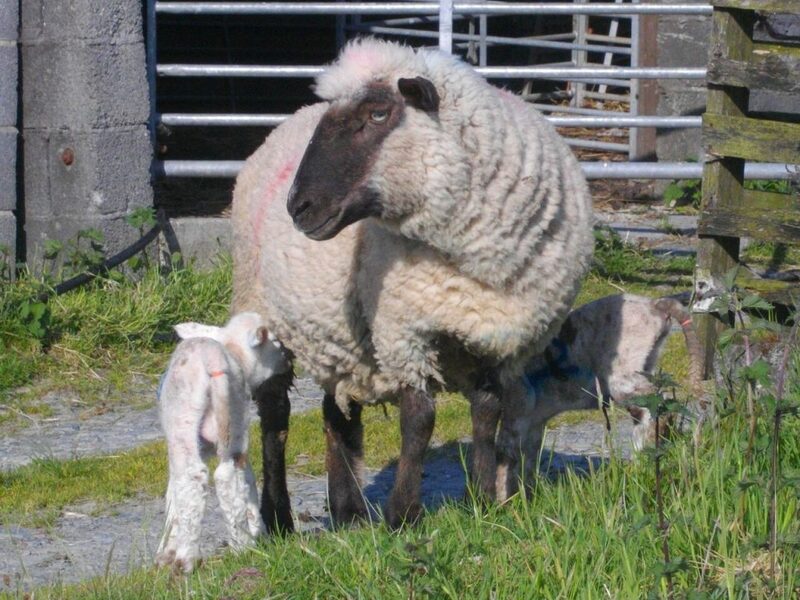 We have a flock of breeding ewes that lamb in the spring. This is a busy time of the year when things are moving fast. Everyone on the farm is busy caring for the new arrivals. If you are staying at Grey Alders at this time, you can join in the excitement of each new birth or even have the opportunity to bottle feed a 'molly lamb'. During July you can help bring in the older sheep to be shorn and in the autumn help with giving them their 'worming' medicine and checking their feet. All this provides a welcome diversion from the bustle of ordinary life and a great opportunity to learn what makes the countryside tick. We also have a small herd of cattle who come into the yard in the winter and can be fed silage by hand. The sheep are also fed silage throughout the winter to keep them in top condition. You will be able to help giving the animals this vital feed if you wish. This is an opportunity to get your hands dirty and help with chores - marking sheep, bottle-feeding lambs, collecting eggs, mucking out sheds, clearing the woodlands and doing as much or as little as you like. 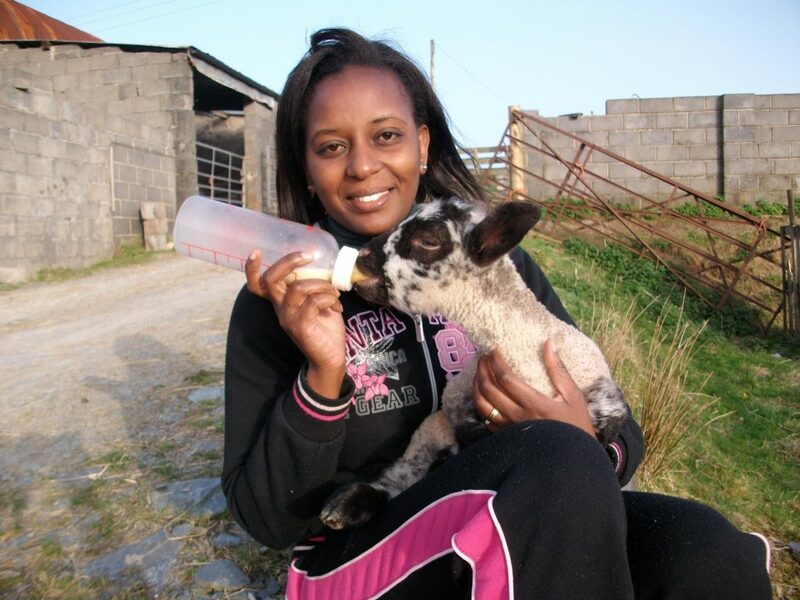 Taste the simple life and get a flavour of what life is like on a working farm. Children can collect the eggs daily, whilst you enjoy a firsthand view of the farming world, a truly rewarding experience, and the freshest of breakfasts! You won't be short of activities to enjoy. Be a farmer for a week! Common throughout Wales is a tradition of high quality local produce - providing visitors and residents alike with a wonderful array of locally-grown foods, from delicious Welsh Black beef to stunning Welsh lamb and mutton. The busy market towns of Carmarthen and Newcastle Emlyn are reached within twenty minutes through glorious scenery, and Cardigan Bay and the resorts of Saundersfoot and Tenby are within easy reach. The new Farmers Markets are now an exciting addition to Carmarthen. But of course you don't have far to go for some real Welsh meat, as we raise our stock for beef and mutton from the farm. Check out our ‘produce' page. Popular Beaches Nearby: Both Cardigan Bay and the south-facing beaches of the Welsh Riviera can be explored within easy reach. Llansteffan and Ferryside are near Carmarthen, while Amroth, Saundersfoot, Wiseman's Bridge and Tenby are away to the south, Cardigan, Aberporth and New Quay to the north and surfing beaches to the west. A short drive away is the delightful National Trust Pembrokeshire Coastal Path. There is so much to see and do in the area within a short drive including long, sandy, surfing beaches, sheltered coves and fishing villages as well as attractions to suit most tastes. Historical sites and castles: You can visit Llanwinio Church and Cilsant, Trelech Chapel, Carmarthen, LlanSteffan Castle, Cilgerran Castle, Castell Henllys - Iron Age Fort, Pentre Ifan, Carew Castle, Pembroke Castle, Fishguard invasion tapestry, St Davids Cathedral. Book your stay by clicking here. 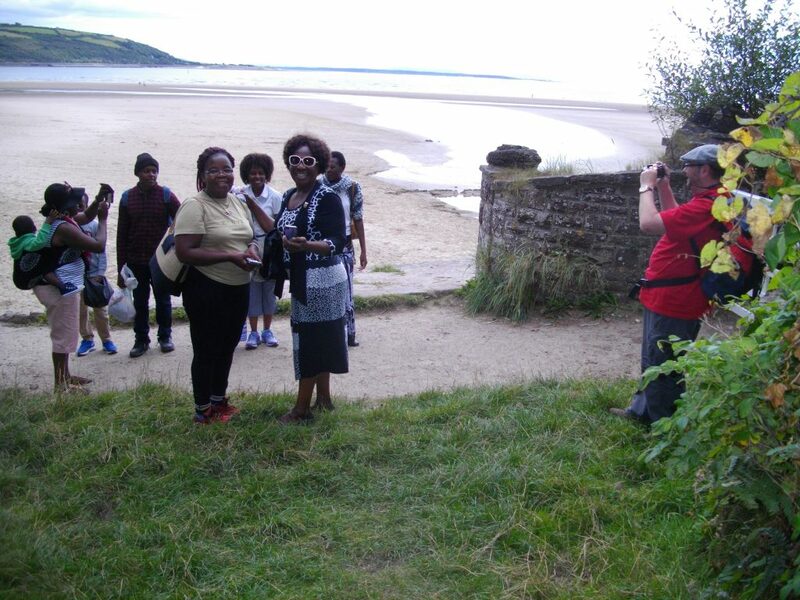 Down at Llansteffan beach on the Towy estuary. 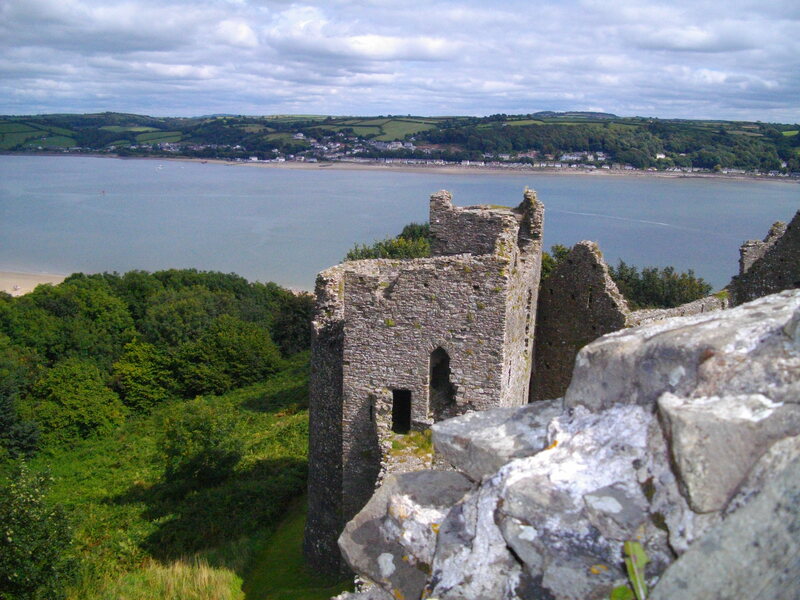 Llansteffan Castle. Well, part of it. Fishing: There are so many trout fishing lakes around it is impossible to list them all. The Rivers Teifi and Towy and the tributaries need permits, but no permit is needed to go sea fishing from the boats for hire in Tenby and Saundersfoot or off the cliffs and beaches. Eating out: There are numerous pubs and restaurants in the local area, catering from bar meals to more exclusive a la carte menus. Local Attractions: During the summer months Carmarthenshire and Pembrokeshire have local and County Agricultural shows, the Welsh Game Fair, music festivals, sheep dog trials and the shire horse farm at Eglwyswrw. (Go on, try! Hint: w and y are vowels in Welsh.) Then there is Folly Farm, Oakwood Leisure Park, Bluestone, Cardigan wildlife park, and canoeing on the Teifi river. Theatres and Museum: Theatr Mwldan (Cardigan), Theatr Gwaun (Fishguard), Scolton Manor and the Lyric in Carmarthen. Further afield are the theatres of Swansea. And the Carmarthen County Museum is worth a visit with its Roman and Celtic remains and rich local history. Picture the scene for a moment. Today you're at the office, in-tray piled high and post-it note reminders all around. Or you're busy ferrying the children back and to from school, then on to brownies and football. Weekdays blur into one and, come the weekend, you've just two days to try and do that whole quality family time thing. So imagine a whole week or two together, where alarm clocks are feathered and classmates rather furry. Or you can slip away for a mid-week retreat and refresh. Simply pack casual clothing and a pair of wellies and you're ready to go!